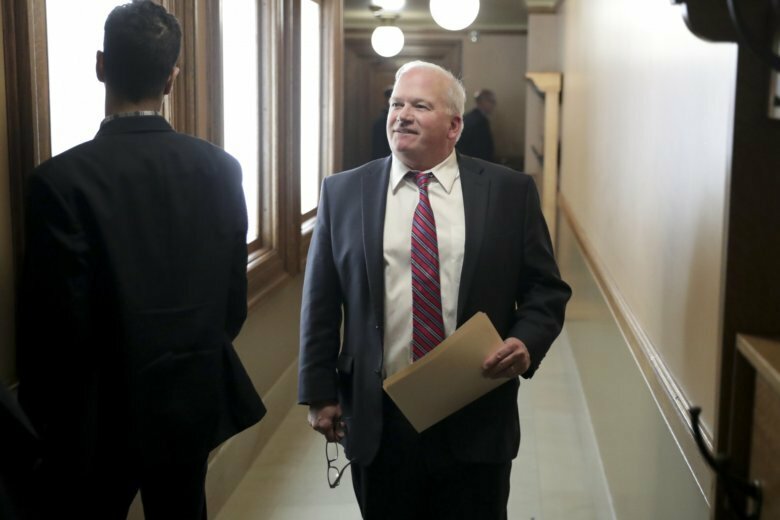 Wisconsin Republicans are decrying a policy in Democratic Gov. Tony Evers’ proposed budget that would grant in-state tuition at public colleges to non-U.S. citizens who graduated from a Wisconsin high school or have been a resident of the state for three years. Evers’ plan would add Wisconsin to a list of 16 states that currently allow immigrants living in the U.S. without authorization to pay in-state college tuition, according to the National Conference of State Legislatures. THE FACTS: Fitzgerald’s claim about the impact of Evers’ proposal is incorrect. The governor’s plan would not give non-U.S. citizens a better deal on college compared to Wisconsin veterans. Wisconsin’s active duty veterans can attend the state’s public colleges tuition-free, whereas Evers’ proposal would reduce but not eliminate the tuition costs for non-U.S. citizens living in the state. Currently, the state’s public college system can charge non-resident tuition for people in the country illegally. Evers’ proposal would allow non-U.S. citizens who graduated from a Wisconsin high school or lived in the state for three years to pay in-state tuition, reducing the cost of a public college education in the school by thousands of dollars. For example, at the University of Wisconsin-Madison, tuition for a non-U.S. citizen would drop from $36,805 for non-residents to $10,555 for the current school year. Wisconsin Republicans including state Sen. Dan Feyen have pointed out that some veterans must wait five years to access free tuition through the Wisconsin GI Bill. However, that’s only true for veterans who were not Wisconsin residents at the time they enlisted in the active duty military. Last school year, more than 3,300 Wisconsin veterans received tuition and fees totaling $14.4 million from the state’s public and technical colleges, according to a report released in January by the state’s non-partisan Legislative Fiscal Bureau. More than 3,000 students were eligible for the Wisconsin GI Bill last year but didn’t need the state to reimburse tuition because the federal program covered the costs entirely, according to the same report.